Federal courts are currently split on the timing of when exculpatory evidence must be disclosed under Brady. The Fifth Circuit recently joined the First, Second, and Fourth Circuits by holding that a criminal defendant is not entitled to exculpatory evidence in the prosecution’s possession prior to pleading guilty. Meanwhile, although the Seventh, Ninth, and Tenth Circuits have not affirmatively held that such a right exists, they have each concluded that the ruling in a prior Supreme Court case, United States v. Ruiz, suggests that the prosecution in a criminal case could be acting in violation of the Brady doctrine when it withholds exculpatory evidence from a defendant who ultimately pleads guilty. 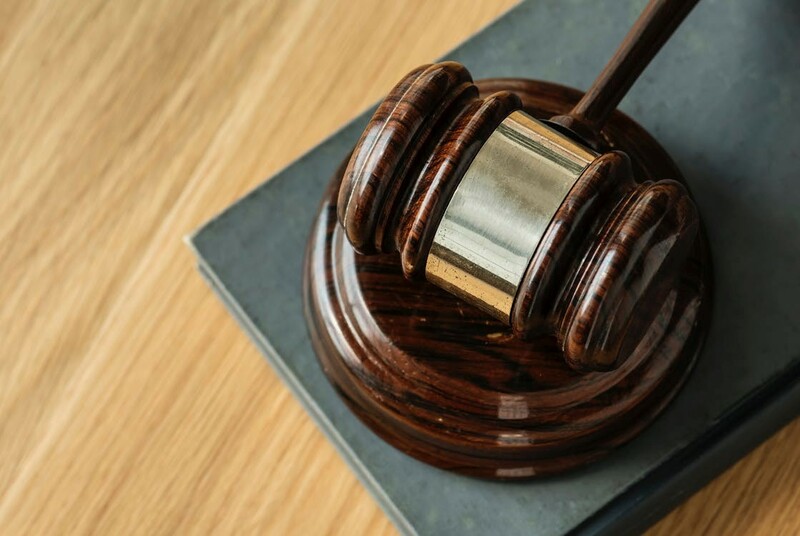 Pursuant to the Supreme Court’s holding in Brady v. Maryland, the Brady doctrine maintains that there is a constitutional right to procedural due process requiring the prosecution to disclose all evidence favorable to the defendant during a criminal trial. While it certainly seems that evidence which proves a criminal defendant’s innocence is “material to either the defendant’s guilt or punishment,” the issue remains whether the prosecution in a criminal case must disclose such exculpatory evidence to the defendant during the plea bargaining process, prior to trial. The Supreme Court held in Brady v. United States that a guilty plea is effectively a waiver of the constitutional guarantees that accompany a jury trial; the guilty plea must be voluntary as well as knowing and intelligent, “done with sufficient awareness of the relevant circumstances and likely consequences.” According to the Supreme Court’s opinion in Ruiz, a waiver of one’s constitutional rights, including a guilty plea made by a criminal defendant, will typically be considered knowing, intelligent, and sufficiently aware under Brady v. Maryland when the waiver of rights is made with a complete understanding of “the nature of the right and how it would apply in general circumstances—even though the defendant may not know the specific detailed consequences invoking it.” Ultimately, the Supreme Court in Ruiz held that the government is not required to disclose material impeachment evidence to a criminal defendant prior to entering into a plea deal with the defendant. The Supreme Court reasoned that such evidence is not critical to the knowledge required for a criminal defendant to voluntarily plead guilty pursuant to the requirements of the Brady doctrine. In Alvarez v. City of Brownsville, which will be discussed further below, the Fifth Circuit joined the First, Second, and Fourth Circuits by extending the Supreme Court’s holding in Ruiz to apply to exculpatory evidence as well as impeachment evidence. The Seventh Circuit, on the other hand, interpreted the Supreme Court’s opinion in Ruiz as distinguishing exculpatory evidence from impeachment evidence in the context of the pre-trial plea bargaining process. In light of the severity of the consequences of waiving the constitutional rights guaranteed to criminal defendants in a trial by pleading guilty, it seems that the Seventh Circuit takes the more just route in holding that criminal defendants’ constitutional right to due process may include a right to exculpatory evidence within the possession of the prosecution prior to pleading guilty to a crime. In Alvarez, the defendant, a detainee, was charged with assault on a detention officer and ultimately pled guilty to that charge. Several years later, a video recording of the altercation between the defendant and the detention officer came to light in the course of another case. The video demonstrated the defendant’s innocence, and an appellate court eventually set aside the defendant’s conviction. Subsequently, the defendant brought a civil action for the deprivation of rights under 42 U.S.C. § 1983 in federal court against the City of Brownsville, alleging that the city violated his constitutional rights under Brady. The Fifth Circuit ruled in favor of the City of Brownsville and held that the criminal defendant lacked the constitutional right to exculpatory evidence prior to pleading guilty for the assault charge. The Fifth Circuit reasoned that it was bound by the precedent that had been set by a previous Fifth Circuit case, United States v. Conroy. In Conroy, the Fifth Circuit read the Supreme Court’s opinion in Ruiz to mean that prior to trial, a criminal defendant is not constitutionally entitled to any Brady material, including both impeachment evidence and exculpatory evidence. Essentially, because the Supreme Court did not distinguish between impeachment evidence and exculpatory evidence in the context of the plea bargaining process, the Fifth Circuit refused to make a distinction between the two different categories of evidence itself. During the rehearing en banc, the Fifth Circuit affirmed its original holding, emphasizing its obligation to adhere to the precedent it established in Conroy. The Fifth Circuit also drew from the analysis of other circuit courts that held similarly on the issue. In United States v. Mathur, for example, the First Circuit determined that a criminal defendant’s right to receive exculpatory evidence in accordance with the Brady doctrine is limited to trial, as the policy reasoning behind the doctrine is “the avoidance of an unfair trial.” In United States v. Moussaoui, the Fourth Circuit used the Supreme Court’s opinion in Ruiz to make the same deduction. Specifically, the Fourth Circuit noted the Supreme Court’s determination that prosecutors are not obligated by due process to provide the defendant with all information that could be beneficial to the defendant in a criminal case. Additionally, the Fourth Circuit reiterated the Supreme Court’s previous validation of guilty pleas when certain information, such as the strength of the government’s case against the defendant, had been withheld from the defendant. Ultimately, the Fifth Circuit concluded in Alvarez that a ruling entitling a criminal defendant access to Brady material prior to trial would be departing from firmly established precedent, as no other court—including other circuit courts and the Supreme Court—had made that ruling. Consequently, the Fifth Circuit refused to expand the Brady doctrine to apply to exculpatory evidence in the prosecution’s possession prior to a criminal defendant entering into a plea deal with the prosecution. In McCann v. Mangialardi, the Seventh Circuit differentiated impeachment evidence, which the Supreme Court held in Ruiz could be withheld from a criminal defendant prior to trial, from exculpatory evidence which might have the potential to exonerate the defendant. The Seventh Circuit noted that, in Ruiz, the Supreme Court specifically indicated that “impeachment information is special in relation to the fairness of the trial, not in respect to whether a plea is voluntary (‘knowing,’ ‘intelligent,’ and ‘sufficient[ly] aware’).” Thus, the Supreme Court in Ruiz did not address the issue at hand in McCann or Alvarez: whether a criminal defendant’s decision to plead guilty may truly be considered voluntary under Brady when the prosecution fails to disclose exculpatory evidence which would definitively prove the defendant’s innocence. The Ninth and Tenth Circuits took similar approaches in Smith v. Baldwin and United States v. Ohiri. Moreover, the Supreme Court in Ruiz reasoned that withheld impeachment information during the plea deal process is unlikely to cause defendants to plead guilty when they are in fact innocent. The general safeguards imposed during the plea deal process, along with the fact that the government in Ruiz agreed to disclose any information that would demonstrate the defendant’s innocence, rendered impeachment information relatively non-critical in the defendant’s decision to plead guilty. Therefore, the Supreme Court ruled that the prosecution’s failure to disclose impeachment evidence to a criminal defendant during the plea deal process does not violate procedural due process. Ultimately, the Seventh Circuit in McCann determined that the Supreme Court’s ruling in Ruiz does not bar courts, including the Supreme Court in the future, from holding that a criminal defendant has a constitutional right to exculpatory evidence in the prosecution’s possession prior to pleading guilty. According to the Fourth Circuit in Moussaoui, “[t]he Brady right . . . is a trial right [which] exists to preserve the fairness of a trial verdict and minimize the chance that an innocent person would be found guilty. . . . [w]hen a defendant pleads guilty, those concerns are almost completely eliminated because his guilt is admitted.” The Fourth Circuit’s reasoning in that excerpt highlights the problematic nature of the concept further enunciated by the Alvarez court; furnishing a criminal defendant with the right to exculpatory evidence prior to trial does not further the policy concerns behind the Brady doctrine. The Fifth Circuit—along with the First, Second, and Fourth Circuits—fails to address the many reasons why an innocent defendant may decide to plead guilty to a criminal charge. Ultimately, evidence which would exonerate a criminal defendant from a charge would protect innocent defendants from being coerced into pleading guilty. A requirement that the prosecution in a criminal case disclose exculpatory evidence within their possession during the plea bargaining process would minimize the frequency of defendants being found guilty of crimes they did not commit. Looking forward, the Supreme Court would have to make an express ruling that criminal defendants have a due process right to exculpatory evidence, in particular, prior to pleading guilty in order for the lower courts to affirmatively adopt that view. The Seventh, Ninth, and Tenth Circuits have been receptive to the argument that defendants are constitutionally entitled to exculpatory evidence in the prosecution’s possession prior to pleading guilty. In the end, however, the novelty of the claim to that right hindered those courts from making a definitive ruling that the right exists. Alvarez v. City of Brownsville, 904 F.3d 382, 392 (5th Cir. 2018). United States v. Ruiz, 536 U.S. 622, 629 (2002). Alvarez, 904 F.3d at 392. United States v. Conroy, 567 F.3d 174, 179 (5th Cir. 2009). United States v. Mathur, 624 F.3d 498, 506-07 (1st Cir. 2010). United States v. Moussaoui, 591 F.3d 263, 286 (4th Cir. 2010). McCann v. Mangialardi, 337 F.3d 782, 787-88 (7th Cir. 2003). Id. (quoting Ruiz, 536 U.S. at 629). Id. (citing Ruiz, 536 U.S. at 631). McCann, 337 F.3d at 787-88. United States v. Moussaoui, 591 F.3d at 285.